I have been making glass drinking straws since 2009, and I am delighted with the current awareness about the impact of plastic straws in the environment. Glass straws are a beautiful way to keep plastic out of landfills, and turn an afternoon drink with friends into a lovely gathering with a little extra bling, style, and planetary compassion. They are dishwasher safe, microwave safe, and able to handle hot and cold beverages. Straws help keep teeth looking whiter, and help protect them from acids or sugars in your drinks. Thick smoothies or shakes are a breeze to enjoy without having to “work for it” with a collapsing, flimsy plastic or paper straw. And each one keeps more plastic out of the oceans and our landfills. So live it up and sip in style! A: Borosilicate glass is a specific type of glass, the same glass you may know as Pyrex, which was created by Corning. 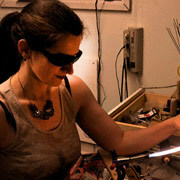 Borosilicate glass, or “boro” for short, is made with the silica and boron oxide. Borosilicate glass is most well known for having very low thermal expansion, making it resistant to thermal shock, more so than any other common glass. What that means is, it doesn’t break easily, which is why it is used in glass cookware that goes in the oven, microwave, and dishwasher. It is also a non-porous and Hypo-allergenic material, which is why it is so safe for food use. Borosilicate glassware has increased durability and has microwave and dishwasher compatibility over other types of glass. A: Yep! I can. I can tailor make a straw to your desired length, width, or even thickness of the straw wall. Please email me at glass@juiceglass.com with your specifications and I will contact you. Q: Will my straw ever break if I put it in the dishwasher? A:Straws will easily withstand dishwasher and even microwave use, just like Pyrex cookware and dishware. We recommend sanitizing your straws in the dishwasher to help keep it clean. This sort of use and cleaning is normal use, and your straw will not break under normal, everyday use. 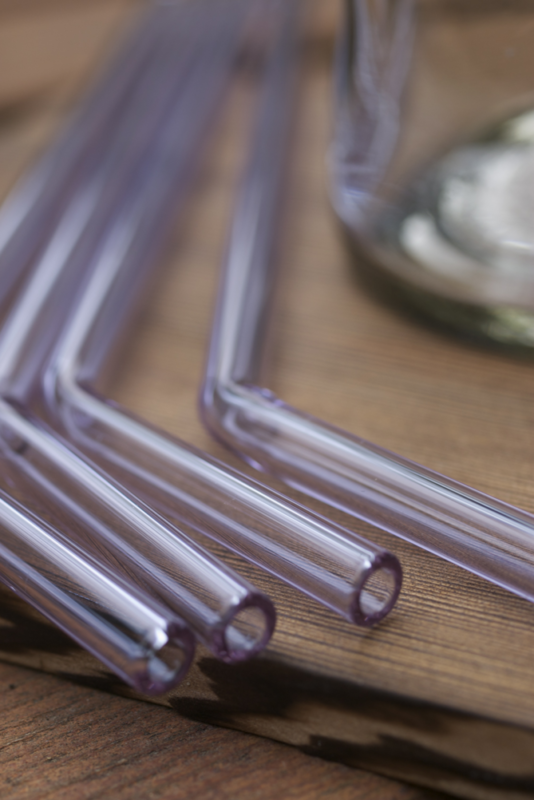 Q: How do I get a refund if I am not satisfied with my glass straws? A: Email us at: glass@juiceglass.com if you are not satisfied with your straw. We will issue you a refund for the total amount of your purchase (excluding shipping). Q: My straws have become opaque and dingy looking, what can I do? A: Think of your straws like other glasses in your dishwasher. Over time they can become more opaque due to the minerals in your water supply. If your glass drinking straws become “cloudy” from hard water conditions in the dishwasher, simply soak in distilled white vinegar. Another tip for cleaning is to rinse them right after use, keeping them crystal clear and clean. If that doesn’t work, use a pipe cleaner or a baby bottle brush to help clean out the inside. Q: Can my child use your straws? A: I recommend glass straw use only for kids 6 years of age and older. Use good sense and teach your children about how to use this straw. Then they too can contribute to creating a cleaner, greener, healthier world! 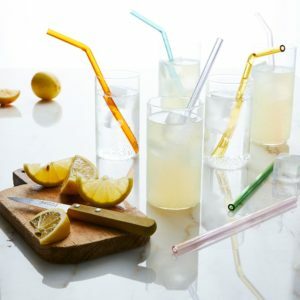 A: Right now my straws are available in different colors and configurations, and they can be purchased through food52. A: juiceglass is my small business, creating sustainable glass drinking straws since 2009, and working with art glass in jewelry since 2004. I have my own small studio here in the Pacific Northwest, using local and/or recycled materials as much as possible to create and sell my jewelry collections and straws. Glass is such a complete delight for me to work with, it’s always at least partially in charge of what happens in the flame.